Born in Taichung, Kevin Chen moved to Australia at the age of 5 with his family. At the age of 15, he returned to Taiwan in order to finish high school before returning to Australia where he now resides in Melbourne. 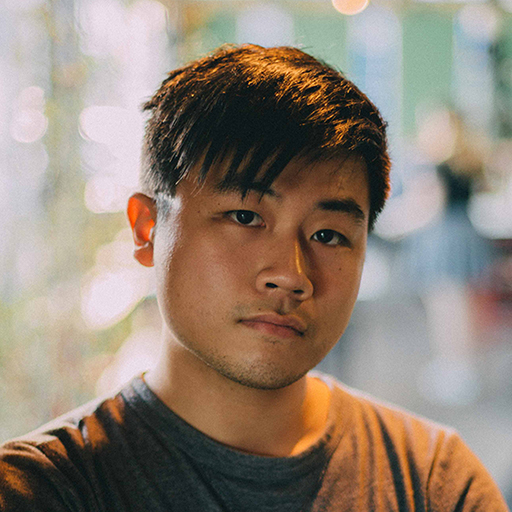 With a burning passion for Games, Visual Novels and Anime, he founded Route 59 in 2015 in order to create narrative games that explore the intersection between these mediums. Route 59s’ debut title is Necrobarista, a 3d visual novel set in a supernatural cafe where the dead are given one last night to mingle with the living. Necrobarista is slated for release in Q1 2018. One of the key visual elements of Necrobarista is its’ 3d, anime-inspired visuals. While most visual novels use anime-style graphics, most utilize 2d engines with sprite-based assets for visuals. Our aim was to create an efficient way of generating modular, reusable assets for our game to counterbalance the increased costs of working in 3d. In this talk we explore the various techniques and elements we utilized in Necrobarista to create an effective NPR (Non-Photorealistic Rendering) pipeline emulating anime artstyles while maintaining a cost-efficiency suited to an indie budget. Topics covered include shaders, facial rendering, animation, and pipeline integration of assets from Maya to Unity. The talk will also cover more generalized pipeline and budget breakdowns targeted towards small to medium sized indie studios.